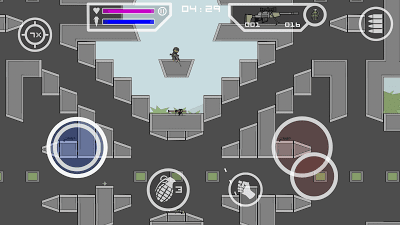 Hope you are all enjoying the game play with Mini militia. They have now come back with the latest new updated version 2.2.59. 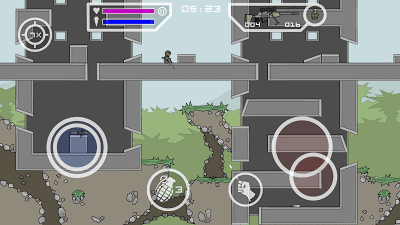 In this version they have added 3 new maps and even health bar of your opponent can be viewed. Sounds interesting right? Let's discuss all the features in detail throughout this post. 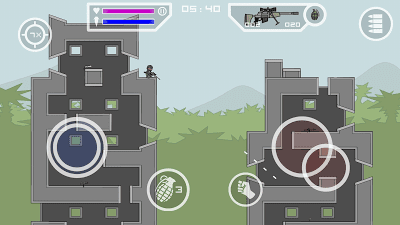 And at last we also have added the mini militia mod apk download link. You can have access to all premium features by upgrading to pro pack. The following pictures will get you a fair overview of the map. The map is as simple as that. 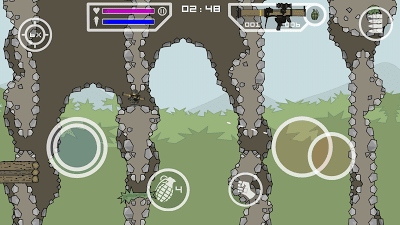 In this map they have introduced a new type of gun. It consists of 30 bullets and up to 4* zoom capacity. 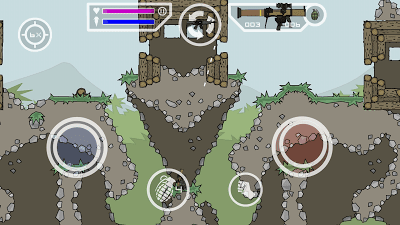 This level has got the special gun which we used to have in catacombs. The map extends long in the vertical fashion. It usually requires full jetpack to move across the maps. The suspension location seems to be quite big. It has got a wide area to combat. Just look over the various locations of this map from the below images. 2. 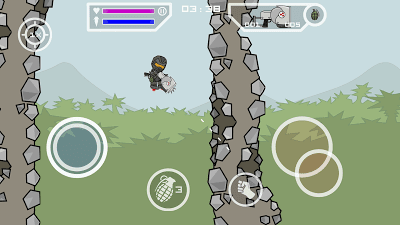 Apart from these you can even check the health meter of your opponent. With that you can decide whether to combat with him or not. 3. Sign up / sign in is not needed everytime to make it more secure. 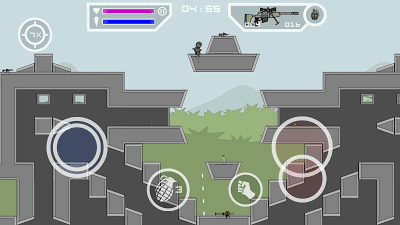 Note: Uninstall the current version of mini militia and install this mode. If you have got any issues while installing or any other problems, then feel free to drop a comment below.